In our last blog post, we talked about sleeking and how it can improve the look and style of your printing projects. With different types of sleeking, you can create custom design and styles of your prints, getting as creative as you want. Adding some type of sleeking can both enhance the appearance of your prints and help you attract more people with eye-catching metallics, mattes, and other styles. One print that you can, and should, get super creative with is your business cards. We have talked about business cards before, in our blog about designing effective business cards part one and two. Your business card has the potential to help your business thrive and can allow you to beat your competition. Adding sleeking to your business cards can help make that possible, by adding unique designs and styles, your business cards can become something that no one has ever seen before. 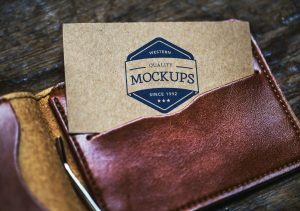 In this blog, we are going to talk more about sleeking and your business cards and how the two make the perfect combination. We have all seen our fair share of business cards, and while some are amazing and truly catch our attention, others may be quickly overlooked. 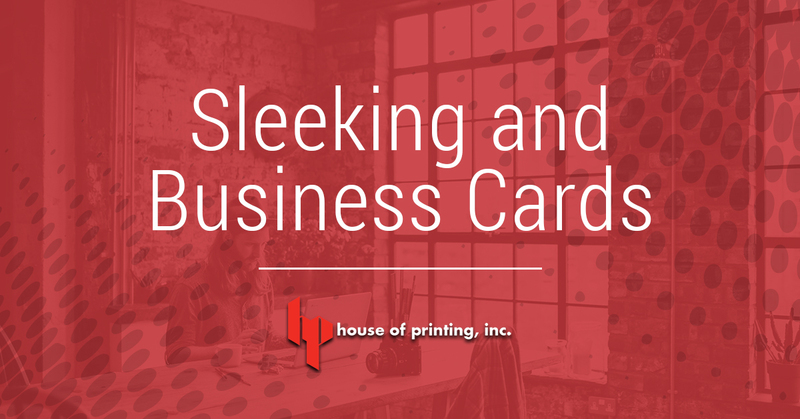 Even if your business cards has to be more professional and doesn’t have a unique shape, bright colors, or anything that will make it really stand out, sleeking can change that. Adding digital spot sleeking to your business card can help highlight something that you don’t want potential clients overlooking, whether that is your business name, email, or location. This may help your business card stand out from your competitions. There are many professions that benefit from awesome designs, unique shapes, and creatively styled business cards. People like photographers, artists, and salon owners are not the only ones who can benefit from truly unique cards. Do you own a coffee shop? Shape your business card like a coffee bean and add a full matte sleeking finish. Do you own a jewelry store? Use our holographic sleeking to give the diamonds on your business card their sparkle. Do you own a class cleaning company? Make your business card look like a window and add both glossy and matte sleeking to give the “window” a look of being cleaned. When you are planning your business card design, you want to be creative as possible. This will help your business stand out from the competition and the other piles of business cards people recieve. Plus, it can be fun to design something completely unique! Start your business card design and be sure to use House of Printing for an extra touch of sleeking! Contact us today to learn more.